Dr. Ronen Hoffman is an academician and former member of the 19th Knesset, representing the Yesh Atid party. In the Knesset he served as a member of the Defense and Foreign Affairs Committee and chaired the Foreign Affairs and Public Diplomacy sub-committee, coordinating the oversight of the Ministry of Foreign Affairs, the Ministry for Strategic Affairs, the National Information Directorate of the Prime Minister’s Office and departments within the Ministry of Defense. Dr. Hoffman served as the personal assistant to the late Prime Minister Yitzhak Rabin, during which time he coordinated the Israeli delegation's peace negotiations with Syria. 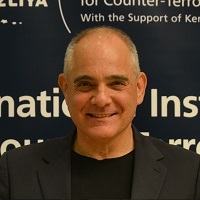 Dr. Hoffman is a lecturer at the School of Government at the Interdisciplinary Center Herzliya, and is the co-founder of the International Policy Institute for Counter-Terrorism.